Another stop on my weekend adventure was to The High Line in New York City. 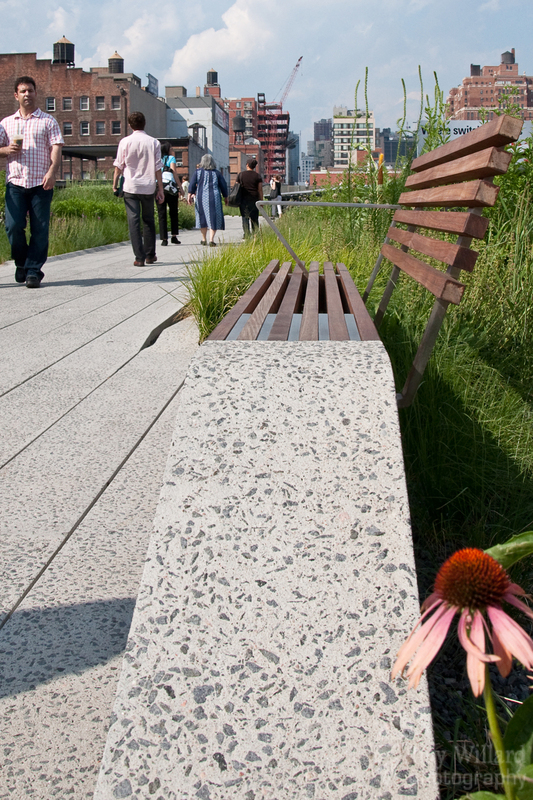 Designed by James Corner Field Operations and Diller Scofidio + Renfro, this redevelopment project is transforming the West Side's High Line into an elevated, urban oasis. The High Line was orginially built in the 1930's as an elevated freight line to carry goods to factories in the Meatpacking District and Chelsea. As the years progressed, goods started being shipped on trucks and the steel structure was eventually deemed unneccessary, and abandoned. Today, this team of architects and designers have come up with a brilliant scheme to revitalize the tracks into a pedestrian park that reflects the history of the area. The design is broken up into three sections, the first of which opened just weeks ago. I did spend the last four years studying architecture in college, so I just had to check this out!